Must have when you are doing BKK and Siem Reap tours. Reliable internet source. Thank you Klook! We know that you love to be able to connect with your friends and family, and we also know that you don't like roaming costs. With a 4G SIM card available for pick up Suvarnabhumi (BKK) Airport before you leave, you can connect as soon as you arrive in Cambodia. With unlimited data you'll be able to send those holiday snaps to family and friends, look at maps to find the best of the best, and stay in the loop with emails while you're away. 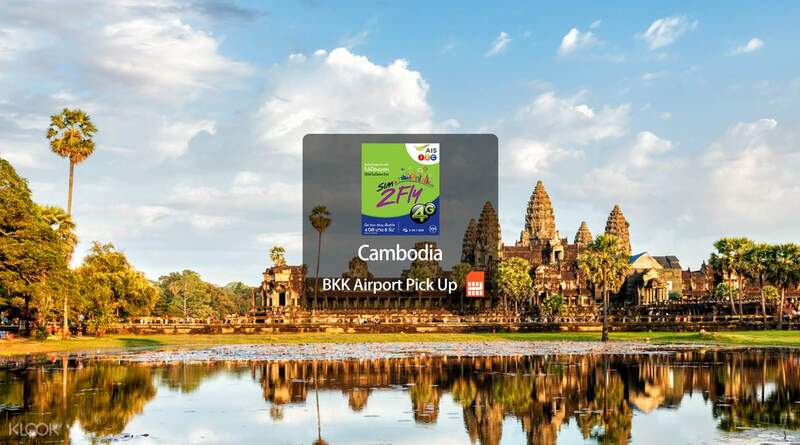 Stay connected in Cambodia with a 4G SIM card for pickup at BKK Airport! Simcards in any country helped me to share photos real time on my social media platforms. I love it! These are the photos I took and shared online. Simcards in any country helped me to share photos real time on my social media platforms. I love it! These are the photos I took and shared online. A really big help specially when you are travelling alone and dependent on data. A really big help specially when you are travelling alone and dependent on data. Easy to redeem and easy to use. The activation is simple and immediately you can use it. The internet speed and connectivity is excellent. However, you can encounter difficulty using the sim with Iphone because of compatibility issues so use Android phone instead. Easy to redeem and easy to use. The activation is simple and immediately you can use it. The internet speed and connectivity is excellent. However, you can encounter difficulty using the sim with Iphone because of compatibility issues so use Android phone instead. If you would like to stay connected when traveling, I suggest that you purchase this sim. There are other Asian countries that you could use the sim. The internet/data is also good. If you would like to stay connected when traveling, I suggest that you purchase this sim. There are other Asian countries that you could use the sim. The internet/data is also good. The application is easy to use and user-friendly. The staff are accomodating enough and assisted well during the installation of the sim card. The sim card is hassle free and the data is really fast. The application is easy to use and user-friendly. The staff are accomodating enough and assisted well during the installation of the sim card. The sim card is hassle free and the data is really fast. The Klook booth wasn't difficult to find at BKK airport and the transaction was fast. The staff were helpful but they were a little slow in explaining how the sim activation works, especially with the importance of the registration part. Although we failed to activate the sim at the AIS counter because we had little time left for our next flight, it automatically connected when we reached Siem Reap. The connection was good and we never had a problem so far. The Klook booth wasn't difficult to find at BKK airport and the transaction was fast. The staff were helpful but they were a little slow in explaining how the sim activation works, especially with the importance of the registration part. Although we failed to activate the sim at the AIS counter because we had little time left for our next flight, it automatically connected when we reached Siem Reap. The connection was good and we never had a problem so far. Seamless claiming with the e-voucher at BKK Airport counter at Floor B. They scanned my voucher which was added to my Apple Wallet. And they took a photo of the e-voucher and the actual product they released as proof. As it is a Thai AIS, I could not make local calls in Cambodia. I don't have enough credits to make calls to Cambodian phone numbers. The operator would tell me that it was barred for outgoing international calls. The data, is almost always 4G LTE, even in Angkor Wat. I only had difficulty with the roaming signal when I went home to the suburbs in Siem Reap; I can only use Cellcard as the roaming signal. I had no such issues in Phnom Penh. The data speeds are great, and the allowance is just enough for travel related online use. As a suggestion, it would be better if Klook offered a local SIM--Metfone, Smart, Cellcard, etc. This AIS is THAI based and needs Data Roaming to use in Cambodia. Seamless claiming with the e-voucher at BKK Airport counter at Floor B. They scanned my voucher which was added to my Apple Wallet. And they took a photo of the e-voucher and the actual product they released as proof. As it is a Thai AIS, I could not make local calls in Cambodia. I don't have enough credits to make calls to Cambodian phone numbers. The operator would tell me that it was barred for outgoing international calls. The data, is almost always 4G LTE, even in Angkor Wat. I only had difficulty with the roaming signal when I went home to the suburbs in Siem Reap; I can only use Cellcard as the roaming signal. I had no such issues in Phnom Penh. The data speeds are great, and the allowance is just enough for travel related online use. As a suggestion, it would be better if Klook offered a local SIM--Metfone, Smart, Cellcard, etc. This AIS is THAI based and needs Data Roaming to use in Cambodia. Must have when you are doing BKK and Siem Reap tours. Reliable internet source. Thank you Klook! Must have when you are doing BKK and Siem Reap tours. Reliable internet source. Thank you Klook! 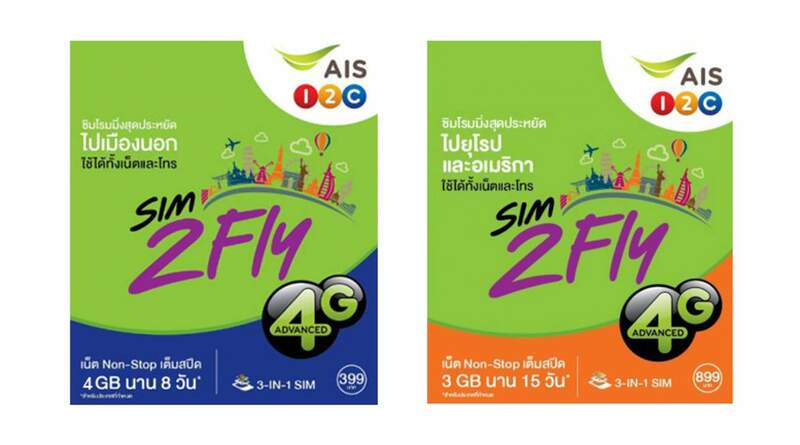 convenient for those going onwards to cambodia from bangkok by land.insert sim once you are in cambodia and connect with local network provider. highly recommended. convenient for those going onwards to cambodia from bangkok by land.insert sim once you are in cambodia and connect with local network provider. highly recommended.